Ana plays funky disco hits, a non-stop mix, and samples game 'Instant Replay'. Plus your 'Express Yourself' tune. Ana plays big shiny disco hits and funky rare grooves for your listening pleasure, with music from James Brown, Bill Withers, Parliament, Black Soul, Peter Brown, and The Brothers Johnson. There's another game of 'Instant Replay' - will you spot the disco dance track sample? And the new addition of a slot for YOU to fill continues. Which song makes you get up on the dance floor to express yourself? 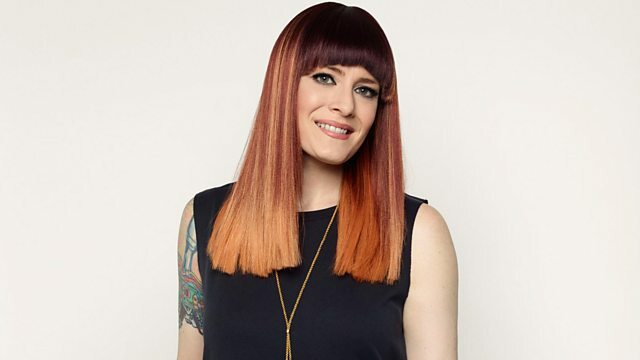 E-mail Ana.Matronic@bbc.co.uk with your choice. The non-stop Dance Praise mix, full of disco delights, bursts to life in the second hour with tunes from Salsoul Orchestra, Capuccino, Le Streghe and El Coco. As ever it has been handcrafted by Ms. Matronic with lots of love, and all her devotion. The Best Of Barbara Pennington "24 Hours A Day". Get Down Tonight! The Best Of T.K. Records. War - Grooves & Messages. Give Up The Funk: The BT Express Anthology 1974-1982 CD1. Non-stop disco delights specially selected by the Scissor Sister herself. How did disco inspire the remix, modern dance music & social liberation?